Listen in on tons of police dispatch scanners as well as paramedic, fire brigade, highway patrol, airport and even weather feeds with these savvy police scanner software apps on your Windows Mobile smartphone. No matter where in the world you are or which neighborhood you're traveling to, these apps will help get you informed. If your device is compatible, you will reap the benefits and amazing features they have to offer. Also, with some of these apps you get thousands of live Internet radio stations so you can listen to your favorite genre of music and get updated on current news, sports, talk shows, and much more. With a quick download, you will be impressed with additional functions to create favorite folders and other configurations within the apps using smart, intuitive user interfaces. Check out the details on each, pick your favorite and explore the download links in the references section. police and other officials in-the-know. 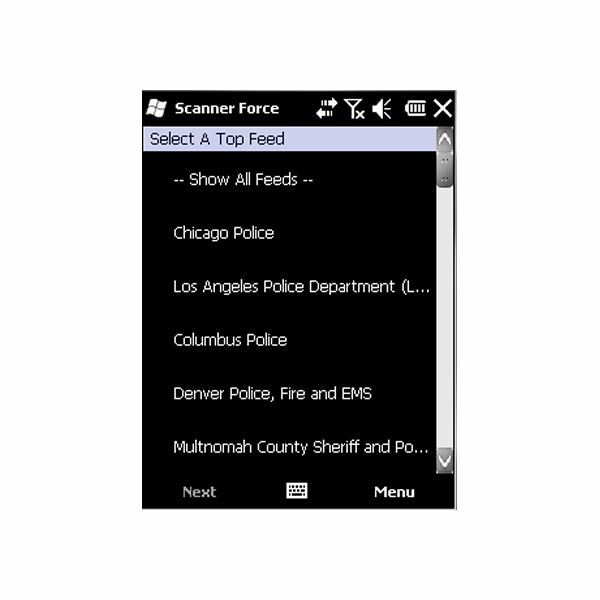 Scanner Force Mobile app is your direct link to listen in on the fire brigade, paramedic and EMT feeds as well as police scanners, which include top agencies like the LAPD and Chicago Police — all this right from your Windows Mobile phone. Once you are linked into the system you can listen in on scanners all over the world including the United States, Canada, United Kingdom, Australia, Germany, Chile, Japan, Italy, and more. Not only do you get informed about important and emergency situations taking place around, you also get to see how many other people are listening too. Also, the app makes your police scanner streaming experience easy with configurable options to control the feed through volume and balance adjustments. and police radio frequencies. You can hear police band scanners as well as the highway patrol, airport, fire, weather and EMT feeds. There is an expansive directory with easy-to-use functions to quickly search by location and radio stations. It’s a handy app, especially since you can listen to over 400 different genres of music, talk shows, sports commentary and entertainment news when you want a break from the hustle and bustle of dispatch feeds. 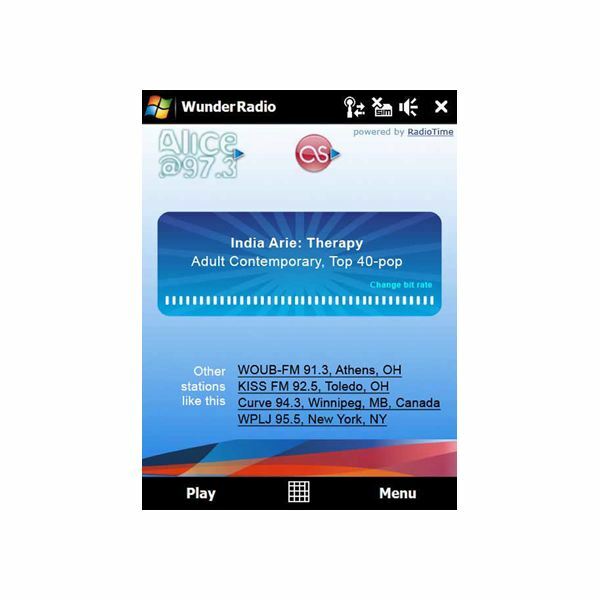 WunderRadio employs a slick interface, which displays your current playing selection — song and artist name, plus allows you to add your own favorite stations. It gives you a terrific display of the stations and integrates useful options so you can easily navigate through the app and be more efficient. from its most practical function — to stream emergency scanners. You can tap into a number of scanner radios from the local police in your area to others in neighboring states and also other countries. For specific music selection, users can search for radio stations by categories such as favorites, genre and the station's name. It provides a proprietary algorithm function that sorts selected radio stations by bit rate, reliability rating and even consumer rating. 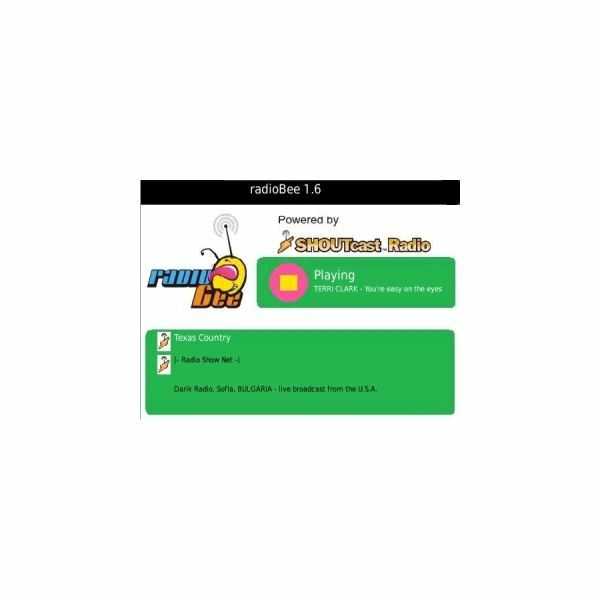 RadioBee provides a directory with more than 40,000 radio stations and implements a handy display to show current playing songs and respective artists. You can also manually add custom streams from your computer to your phone and set alerts to keep you informed on international news and current affairs, plus live commentary and sports talk, plus much more. information we could all do with. Trapster is your complete travel companion and guide so you never get caught in roadway hazards including traffic jams, speed traps, etc. plus it protects you from speed and red light cameras. This is done through alerts and spoken warnings as you approach any of these incidents while on the road. Some other features you can look forward to obtaining include real time traffic updates, turn-by-turn navigation and local search all from within this handy and convenient Windows Mobile app. While Trapster may not deliver a live radio feed from your most esteemed emergency and police officials it has dynamic geo-positioning, anti-ticket technology — all driving enthusiasts need. I thought this would be a nice addition to the list, especially for those of you who want to be fully informed at all times.